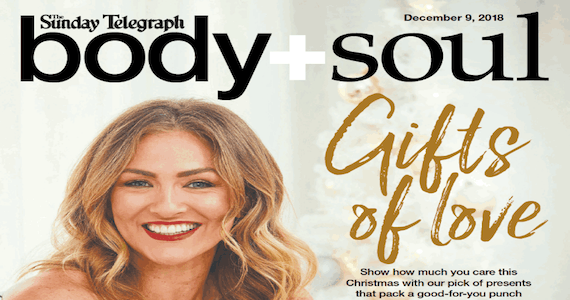 We were asked by The daily Telegraph to contribute to their article: 10 Surprising Causes of Summer Back Pain in the Body & Soul edition in December 2018. Evoker Physiotherapist’s Adam Monteith and Sean Wickens answered some of your questions and gave some great tips! Sean mentioned No. 4… Staying hydrated! The inside of the discs of the back contain a gel-like substance consisting of 70-90% water. “Dehydration can impact on this and reduce the height of these discs”, says Sean Wickens, a physiotherapist at Evoker in Sydney. “This increases the stress in the area which may lead to lower back pain in people with an existing back problem”. TRY THIS: “Staying hydrated by drinking water and eating fluid-filled fruits and vegetables cab reduce your risk”, says Wickens. Adam mentioned No. 7… Going on a Plane! “The distinct lack of room in and around an aeroplane doesn’t allow for changes in position, and this prolonged immobility is bad for backs”, explains Evoker Physiotherapist Adam Monteith. TRY THIS: “A cushion will help, but if you have a back problem then try a specific lumbar roll (a specially designed cushion that restores the curve in your lower back). I also advise patients with back pain to choose an aisle seat so that they can easily get up and move”, he says. And remember to drink a lot of water as flying can also dehydrate the discs in your back.